Does your company want to implement a data governance program? What are the biggest data governance issues facing your company? We are very excited to announce our next general session focusing on DATA GOVERNANCE. This session, to be held on Thursday August 25th hosted by Choice Hotels, will feature a panel discussion on one of the hottest topics in data management. We will feature the expertise of our very own DAMA – Phoenix chapter members who have had hands-on experience implementing data governance programs. Each panelist will have the opportunity to give a short presentation on their data governance experiences. The session will continue with a moderated Q&A including a combination of prepared questions and questions taken from our attendees. 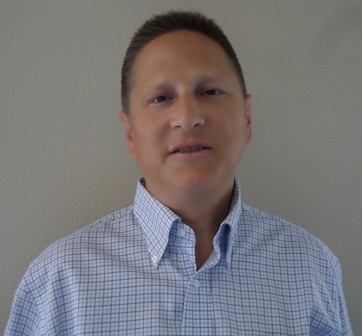 Pete Stiglich is the president of DAMA Phoenix and is a highly experienced Enterprise Information Management (EIM) consultant, trainer, writer, and presenter. He has nearly 25 years of IT experience, with over 15 years of EIM experience in Data Architecture, Data Modeling, DW/BI, Meta Data Management, Data Quality improvement, Data Governance and Stewardship, and other EIM disciplines. He is a listed expert for SearchDataManagement in the fields of Data Modeling and Data Warehousing. Kathy Erickson is a Data Governance Senior Manager in the Global Merchant Services organization at American Express (AXP). With 16 months in this business role, she has developed standards, best practices and processes to maximize data potential. Key implementations include an operating model with roles & responsibilities, business glossary, data stewardship and data profiling. Prior to this role, she spent 13 years in the AXP Chief Technology organization and was instrumental in the Data Management Roadmap highlighting enterprise strengths and opportunities; and piloting a Getting Started Guide to Data Governance with various lines of business. Kathy has 25 years experience in Technologies and Data Management as a Business Analyst, Data Architect, Database Administrator, Director and Expert Architect; all with financial services organizations such as AXP, Wells Fargo and JP Morgan Chase. Terry Mooney is the Manager of Information Consulting Services at Salt River Project (SRP), the 3rd largest public electric utility in the United States. Terry has over 25 years of utility experience, working in various roles within both the power and water business areas. She has over 10 years of Information Management experience, including taxonomy/ontology development, information analysis, information scorecard creation, data modeling and design, data quality, master data management, content and classification management, metadata management, and service oriented information integration.